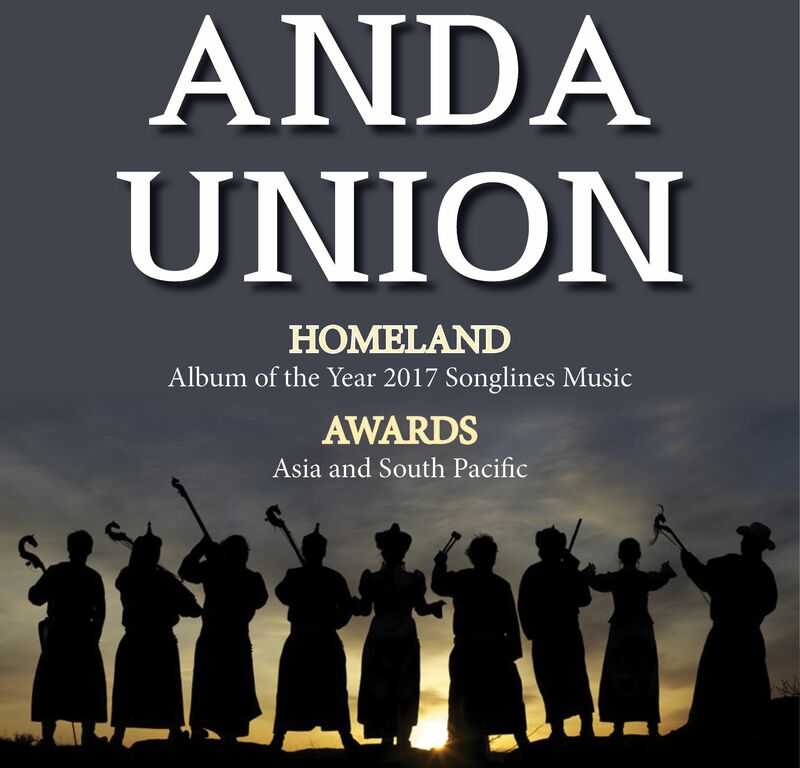 Anda Union’s thoroughly addictive and accessible fusion of Mongolian musical styles draws directly from the band’s roots in the differing ethnic nomadic cultures. The band’s nine members are keenly aware of the threat climate change and modernity is posing to their grasslands habitat and ancient Mongolian culture. Formed in 2000, Anda Union all trained in traditional Mongolian music from a young age, many coming from musical families. They are leaders in a musical movement finding inspiration in the old music. Driven to preserve an endangered way of life by keeping their music alive, as a group they hold on to the essence of Mongolian music whilst creating a form of music that is new. They have influenced a generation of young Mongolians in Inner Mongolia as traditional music flourishes in the capital, Hohhot.